The direct method for making mosaics involves directly placing the individual pieces onto the final surface where your mosaic will lay. This method is best suited for surfaces having a three-dimensional look, such as walls. The direct method is great for small projects that you would move once it is finished. Another nice thing about the direct method is that you get to see your resulting mosaic take life. It also allows for you to make little adjustments to tile placement and color. The direct method has its disadvantages. With this method the artist must work directly on the chosen surface. It is not suitable for large projects. It is also difficult to control the evenness of the finished surface when the pieces are not all the same thickness. 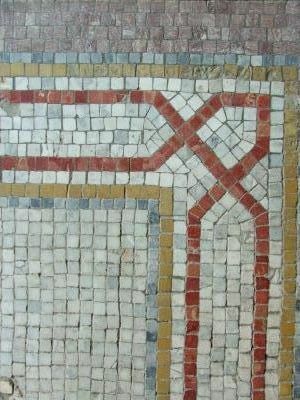 The indirect method used for creating mosaics is often used for large projects. With this method the pieces are glued face down on a paper backing. When completed it is transferred to its permanent resting place, and once the mortar has dried the paper can be washed away. This method is very useful for large projects as it gives the artist time to rework areas. Floors, murals benches and table tops are examples of where you would use this method. The double direct method is the method I prefer, which is a modern version of the direct method. This method involves working with mosaic tile mesh. With this method your design is visible because you place all your pieces face up on the mesh. When you are satisfied with the look, you can then glue all the pieces on the fiberglass mesh. It gives you more time and allows you to work wherever you want rather than on site.